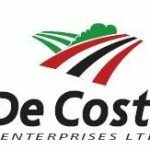 De Costa Enterprises Ltd, is a Gisborne owned and operated farming and agricultural contracting company. Established by Mark De Costa in 2000, the company employs nine full time permanent staff and around twenty five seasonal workers. We have an established Citrus Orchard ( 8 ha ) growing Navels and Valencias. Our new venture is the development of an Apple Orchard ( 13 ha ) located at Patutahi, growing Envy and Jazz varieties. Our agricultural division grows sweetcorn, peas and maize, we also provide agricultural farming and bulk cartage. The company continues to grow and our need for permanent and seasonal staff will increase significantly.